Will ‘Net Neutrality’ Fall Victim To The New House Leadership? Posted on November 8, 2010 | Comments Off on Will ‘Net Neutrality’ Fall Victim To The New House Leadership? As the dust settles from the mid-term elections, a question is percolating around the Internet: what will be the fate of “net neutrality” under a Republican-led House? Under U.S. law, the administrative body governing the Internet is the Federal Communications Commission (FCC). However, major telecommunications legislation must still be approved by the House and the Senate. With a divided Congress, any major telecommunications legislation is unlikely to pass. The result – Internet service providers (ISPs) now hold all the cards and “net neutrality” is likely to be their primary target. 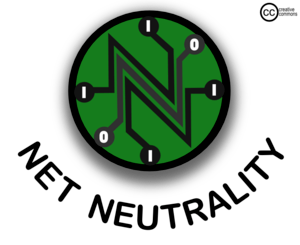 For those of you unfamiliar with the term, “net neutrality” is a principle that advocates no restrictions by Internet service providers (e.g., AT&T or Comcast) and governments on content, sites, platforms, the kinds of equipment that may be attached, and the modes of communication allowed; or, at the very least, extremely limited restrictions. According to an article produced by Reuters, the underlying idea of net neutrality is that high-speed and mobile Internet providers should not be allowed to give preferential treatment to content providers that pay for faster transmission. You can read further on the topic by linking to a definitional article from Wikipedia. You can also link to the full Reuters article analyzing the mid-term elections. “Net Neutrality” is not a subject that should just be discussed by “techy” types. “Net neutrality” is one of the most important civil rights issues of our day. As a society, for good or ill, we have become utterly dependent upon the Internet. It is a primary method of information-gathering and information-sharing. For many, it is the source for social interaction, which broadly includes political organizing and activism (as witnessed by President Obama’s success as well as the growth of “causes” and “groups” on Facebook). Finally, to an ever-increasing degree, educators and institutions of learning are turning to the Internet as a mainstream tool to teach students of all ages. Because of these developments, our societies must insist upon a robust and open Internet, with as few restrictions as possible. This is not to say that Internet service providers should not expect a reasonable rate of return on their services. However, just because I might choose AT&T as my provider, should not result in me being unable to freely communicate with certain other users or sites that AT&T finds objectionable. Same goes for you Verizon and Apple. And, just because I might not be able to afford your latest and greatest gadget, should not necessarily mean that I end up with something akin to “dial up” speeds when I attempt to find our the latest current events or get information on candidates running for office. These kinds of results are not hypothetical populist-speak. According to its corporate “fact sheet,” “Comcast Corporation is one of the nation’s leading providers of cable, entertainment and communication products and services, with 22.9 million video customers, 16.7 million high-speed Internet customers and 8.4 million Comcast Digital Voice customers.” You can link to Comcast’s corporate information here. This “leading provider” to tens of millions of Americans already restricts the amount of access its users can have to certain types of sites – most notably, peer-to-peer file (P2P) sharing sites. Comcast’s argument: sites which allow users to privately upload and download files (admittedly, sometimes large files) use up too much of the Internet’s bandwidth. Comcast felt so strongly about their argument they filed a successful lawsuit in federal court over the issue. Almost immediately after the case ended, Comcast began aggressively marketing their more costly Xfinity service. Was private peer-to-peer file sharing sacrificed so that Comcast could charge its customers more money for allegedly faster Internet speeds? I am not a Comcast customer, but I would like to hear from any of you who are. What do you think about this issue? Certainly, I invite Comcast to also share its thoughts on this topic, or on the topic of “net neutrality” in general. All non-spam comments will be approved. In particular, it would be most welcome if Comcast would explain how it restricts its users access/use of the Internet (as its primary competitor contends it does) as well as provide its position on “net neutrality.” The same invitation is extended to AT&T, Verizon, Apple and Google. Even if you claim not to use it as your primary method of gathering and sharing information, other users – your doctors, lawyers, banks, hospitals, government agencies – do rely on the Internet and their reliance affects you and your family every day. If made available to everyone, the Internet is the most powerful tool for advancement humankind has devised. Unfortunately, if access to this tool is segregated by class or wealth or geography or because of a corporate balance sheet, those without the tool will find themselves distanced and dis-enfranchised from much of what is taking place around them. I strongly urge all my readers, followers and friends to view “net neutrality” as I do – a civil rights issue. If you are concerned about this issue, you can find out more about how to stand up for “net neutrality” by visiting this link. There are also Facebook causes devoted to the subject, which you can easily find simply by searching for the term net neutrality. This entry was posted in Consumer Rights, Internet & Technology and tagged net neutrality. Bookmark the permalink.